U.S. Secretary of Agriculture Sonny Perdue has authorized renewal of the Cotton Ginning Cost Share (CGCS) program, based on U.S. cotton acres planted during 2016. Perdue made the announcement while speaking at the 66th Annual Mid-South Farm and Gin Show in Memphis on March 3. The program, which is administered by the Farm Service Agency (FSA), will allow cotton growers to receive a cost share payment based on their 2016 cotton acres reported to FSA, multiplied by 20% of the average ginning cost for each production region. 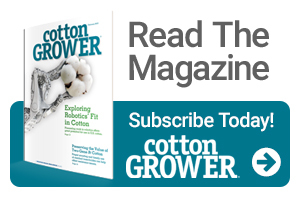 “America’s cotton producers have now faced four years of financial stress, just like the rest of our major commodities, but with a weaker safety net,” Perdue said. “In particular, cotton producers confront high input and infrastructure costs, which leaves them more financially leveraged than most of their colleagues. That economic burden has been felt by the entire cotton market, including the gins, cooperatives, marketers, cottonseed crushers and the rural communities that depend upon their success. Sign-up period for the CGCS program begins March 12 and ends May 11. Industry reaction to the announcement came quickly. “The U.S. cotton industry strongly commends Secretary Perdue for his efforts to deliver much-needed marketing assistance for our nation’s cotton producers,” said National Cotton Council Chairman Ron Craft. 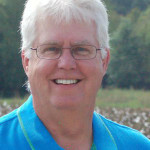 The Texas cotton ginner and producer said this program will provide direct marketing assistance to producers, alleviate a portion of the economic conditions producers are struggling with, and help the safety net void until the seed cotton ARC/PLC program is implemented, beginning with the 2018 crop year. Cost share payments are capped at $40,000 per individual or entity, and do not count against the 2014 Farm Bill payment limitations. To qualify for the program, cotton producers must meet conservation compliance provisions, be actively engaged in farming and have adjusted gross incomes not exceeding $900,000. FSA will mail letters and pre-filled applications to all eligible cotton producers. For more information, visit the CGCS program page on the FSA website, or contact a local FSA county office. To find your local FSA county office, visit the USDA’s new website Farmers.gov. Secretary Perdue’s Mid-South Farm and Gin Show presentation and announcement can be seen on the National Cotton Council’s YouTube channel.